They say knowledge is the cure for fear, and giving children the knowledge of what to do in an emergency can take some of the fear away. While you aren’t going to completely cure your kids of all possible fear, you can give them the tools to be prepared to know what to do. Here are some excellent resources to tap into for lesson plans for students of all ages. Preschoolers tend to fear disasters. Taking the fear away involves fun, learning and accurate information. Here are some lessons to help. Sesame Street. Big Bird and the gang have a complete list of resources for teachers and caregivers who work with preschool-aged children, including drills and learning activities that can be incorporated into lesson plans in a fun and fear-free way. Safety Activities from Bright Hub Education. Most disasters have similar guidelines on what to do to remain safe. This lesson plan helps teach basic safety concepts to young children so they are prepared and protected. Rescue Rex. Rescue Rex is a fun character that teachers can use to instruct preschoolers on emergencies and what to do. The lesson plans include downloadable materials for use in the classroom. Rice University. Rice University has an entire list of activities and ideas for teaching preschoolers and elementary students about hurricanes, which is an important part of disaster preparedness. Preschool Plan It Tornadoes. This unit on tornadoes covers information about the science behind the weather event and what to do if one strikes. Teacher Vision. Teacher Vision has a comprehensive list of lesson plans, activities, printables and activities for natural disasters, including disaster prep information. Preschool Plan It Fire Safety Unit. Fires are another type of disaster that kids need to be prepared for, and preschool children are at a great age to learn some basic fire safety. This comprehensive lesson plan is both fun and instructive. Pre-K Pages Fire Safety. This list of activities will give you excellent options for teaching about fire safety in a hands-on, preschool-friendly format. Ideal for young learners who learn best by doing. KidSoup Fire Safety. Find activities and lesson plans directed at teaching preschoolers about fire safety, and give your kids the tools to be prepared should a fire happen. First-School.ws Learn 911. The most basic skill that a small child needs in an emergency is to know how to dial 911. In today’s world of cell phones, this is not always simple. Teach your students with this ands–on lesson plan and craft. Kindergarteners have similar needs as preschool children, but can understand just a little more about the world around them. Here are some K5 lesson plans on disasters and disaster prep. Disaster and Emergency Preparedness. This activity guide contains activities for kindergarten students and older students as well focused on disaster and emergency preparedness. It comes from World Bank. ShakeOut Disaster Supplies Kit Concentration Game. Teach kids in kindergarten about the needed supplies in a disaster with this fun game. It comes with PDF documents that include the cards you can print out for the game. After the game, teachers can discuss disaster prep kits and what they should contain. Ready Houston Kindergarten Mini Unit. Delicately talks about emergencies and what to do in an emergency on a level appropriate for kindergarten students. Community Helpers Lesson Plan from Scholastic. In an emergency, community helpers are a vital resource, and this lesson plan will teach your students how to identify and reach out to them. Consumers Energy Storm Safety Lesson Plans. Created specifically for kindergarten students, this lesson plan talks about safety in storms. LotsOfLessons: Floods! A lengthily list of lessons and resources that present floods and flooding disasters in a kid-friendly way. Includes lesson plans, slideshows and activities that can be geared toward the kindergarten student. Teacherplanet Earthquake Lesson Plans. A comprehensive list of lesson plans involving earthquakes, including lesson plans for the kindergarten student. Lessons Plans Page. The Lessons Plans Page has lesson plans on just about any topic. This particular lesson plan is a kindergarten lesson plan focused on teaching fire safety and what to do in the event of a fire. KidsHealth.org Strangers and 911 Lesson Plan. This kindergarten lesson plan approaches what some of the first steps in an emergency should be, while also teaching children how to view strangers safely and what to do in an emergency when they can’t find a safe grownup. Hot Chalk Lesson Plans Dialing 911. Kindergarten students need to know how to call 911 in an emergency, and this lesson plan will teach them this. Talking to Kids About “Lockdown.” Unfortunately, today’s kindergarteners may face a time when their school is on “lockdown.” This article for teachers from the Huffington Post discusses how to talk to kids about these scenarios and what to do. Elementary age students from grades 1 through about grade 5 or 6 benefit from hands-on activities that keep the fun in learning. While disaster prep is not a “fun” topic, it can be made a little more enjoyable with these activities. Rescue Rex. Rescue Rex teaches first and second graders about what to do in an emergency, how to identify emergency personnel and who to call in an emergency. This is an entire week worth of lesson plans on safety and emergencies. TeacherVision Safety Resources. This comprehensive list includes a number of resources and lesson plans on storms, fire, storm safety, emergencies and emergency preparedness, as well as other safety and wellness topics. It could be a go-to resource for planning lessons on this topic. CPalms Family Preparedness Plan. This less, which should last around three hours, teaches fifth graders what should be in a preparedness plan and how to help their family start one, if they don’t already have one. Disaster Prep Activity Book. This book from the state of Utah teaches kids about disaster prep in a fun, easy-going way. It works best in the elementary classroom with kids who can read at a fairly high level, or in a classroom where the teacher will read the book with the class. National Weather Service. The National Weather Service has a free lesson plan for elementary students teaching them to plan ahead for the possibility of a hurricane. Hurricane Fun Facts. Take the fear out of hurricanes by teaching your students these fun facts about hurricanes. This would be a great introduction to teaching more about stores and disaster prep. Geology.com Earthquake Resources. This comprehensive list of resources for educators provides everything you need to teach a unit on earthquakes, including information about a grant for science supplies for your classroom. Fire Safety: Activities to Spark Learning. From Education World, these activities are great for fire safety week or any time you want to get your elementary classroom thinking more about fire safety. Fire Safety Resource Center from Scholastic. Scholastic is known for its excellent information and literary products, and this resource list will provide everything a teacher needs to create a standards-based lesson or unit on fire safety and prevention. School Safety Training from ALICE. Do you know what to do if an active shooter entered your elementary school? This resource gives educators the tools to know how to properly prepare students and themselves for this potential danger. Middle school students are increasingly aware of their world and less fearful of potential disasters. Use these critical years to ensure students are well prepared. 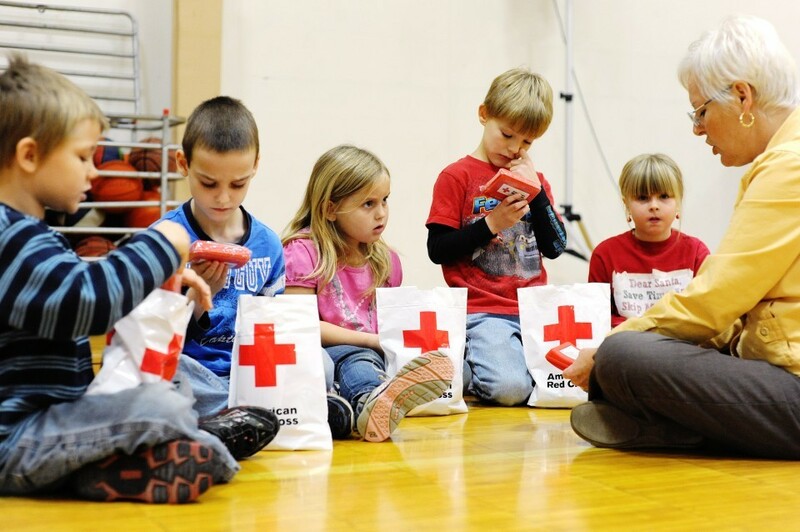 American Red Cross – Prepare Your School for Emergencies. Disaster prep doesn’t just need to happen at home. Use these resources to ensure your school is prepared as well. Texas A&M University – Disaster Preparedness for Youth. This comprehensive list of resources keeps students well informed as they learn to develop a disaster prep plan. Emergency Preparedness Kit Lesson Plan. From the National Building Museum, this 35-minute lesson plan helps kids identify the types of things they would need in an emergency preparedness kit. Manage the Damage: Preparing for Natural Disasters. This plan from the New York Times looks at the impact of Hurricane Sandy and what students can learn from this recent storm about preparing for a disaster while living in a city. Severe Weather Unit from Michigan State University. This lesson plan spans language arts and science subject areas and will help students understand severe weather emergencies and what to do if they experience one. Earthquakes: Getting Ready for the Big One. This lesson plan for grades 6-8 comes from Discovery Education and uses computer searches to teach kids how to prep for a serious earthquake event. Flood! Another lesson plan for middle school from Discovery Education, this one talks about floods, how they happen and what to do if you are involved in one. This would make a great complement to a unit on disasters and disaster prep. Education World Survival Experts. This lesson plan teaches students how to survive various types of natural disasters. This instruction is effective with middle school students, because stories of survival are popular with this age range. Teaching Community Fire Safety Week. While many fire safety lesson plans are geared towards younger children, this particular set of resources has middle school students in mind. Don’t stop teaching about fire safety in middle school! Use these resources to ensure your kids are ready for a potential fire. ALICE Training Video for Middle School. Teach your students what to do in an active shooter scenario in this 17-minute video from ALICE. Use the video in the classroom on its own or as part of a larger unit on active shooters and disaster prep. High school students have the ability to think critically about disasters, prevention and preparedness. These resources capitalize on this fact. Are You At Risk CDC Lesson Plan. This activity teaches students how to identify whether or not their particular location is at risk for a specific type of disaster, so they can be prepared. When Disaster Strikes: A Simulation Emergency Management. This grade 10 lesson plan from the NC Civic Education Consortium will teach how government officials must act in a disaster. American Public Health Association Emergency Preparedness Project Kit for High School. This program walks students through being better prepared for an emergency, whether a disease outbreak or a natural disaster, in various types of communities. This program is available in a downloadable PDF file. FEMA High School Emergency Preparedness Curriculum. FEMA has a program for high school students that goes into a little more detail about what to expect and do in an emergency. The Storm. Using the film “The Storm” which focuses on Hurricane Katrina, this lesson plan from PBS will help students visualize what a true disaster is like. Learning to Give. This lesson plan entitled “Preparedness for Natural Disasters” is aimed at students in grades 9-12. Masters of Disaster. This lesson plan from ALEX has high school students research natural disasters and how they impact people, then use apps on the iPad to design disaster preparedness guides that reduce the potential impact of natural disasters. High School Fire Safety Lesson Plan. This plan looks at the science behind fire, what causes fire, basic fire safety information, how to use a fire extinguisher and what to do in a fire emergency. Remember, fire safety is for everyone, not just young students! Fight, Flight or Lockdown – Teaching Students and Staff to Attack Active Shooters. Talking about active shooters is not easy, but this lesson gives students and staff the knowledge on how to trap or attack active shooters to prevent a tragedy.